Ok, I’ve had enough time to let this rumor marinate. When I learned Sunday night that Christopher Nolan was rumored to be coming aboard as producer for a Justice League movie with Christian Bale coming back as Batman, I was filled with all sorts of emotions. At first, I couldn’t believe it. I was in utter disbelief. Just to hear the names Nolan, Bale, and Batman again in one sentence was enough to pique my interest; but, to hear that they might be coming back to team up with Henry Cavill’s (Man of Steel) Superman, got me thinking about whether this was a good idea or not. Warner Bros. had reportedly put the idea of a Justice League movie on hold in recent weeks after reports came out that the studio was so unhappy with Will Beall’s script that they were considering scrapping it and going in a completely different direction. But, the early buzz surrounding Man of Steel is that it is an action-packed ride that finally gives Superman his day on the screen. And, with the film seemingly destined for box office success, the thinking at Warner Bros. has once again shifted towards a Justice League film and how to approach it. Now, I understand Warner Bros.’ desire to bring Nolan’s Batman back to team with Cavill. Financially, it makes sense: Warner Bros. had become a laughingstock as of late with talk of their desire to create a Justice League movie for 2015, even though they had no script, no cast, and no director attached. It was clear that they were trying to find a way to counter the success Marvel had gained with The Avengers, but their approach seemed way off. Instead of creating individual films that developed each characterthe way Marvel did, Warner Bros. decided to first create a superhero film that introduced everyone with the idea that they’d spin each character off into their own franchise. 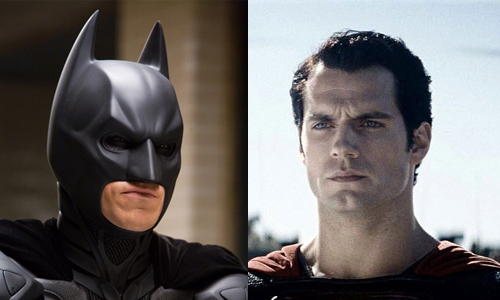 Furthermore, if you bring back Nolan’s Batman and team him with Cavill’s Superman, you need no introduction. It would seem to be the perfect idea on how to approach Justice League—make a movie with Batman and Superman first before bringing everyone else onboard. But, the more I’ve thought about it, the more I’ve come to realize that this is a terrible idea because it would destroy what Nolan created with Batman. Even if Man of Steel turns out to be everything we’d hoped for it would still be hard to incorporate Nolan’s Batman into this world. While Man of Steel will do its best to ground the character in reality, the fact of the matter remains that if you have a movie with Superman in it reality, as we know it, goes out the window. 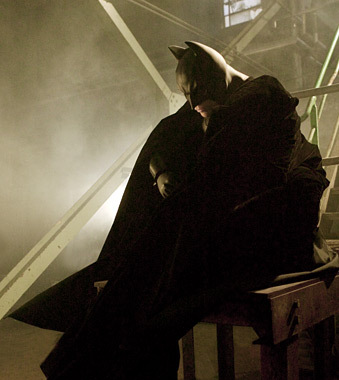 What made Nolan’s Batman trilogy so iconic was the fact that we were able to relate to Bruce Wayne and his world. Here was a guy who suffered a tragedy, had no real superpowers, and used modern technology (and a nice bankroll) to become a crime-fighting vigilante. Nolan’s Gotham was a representation of any city in the world, and the fact that we were able to connect with Bruce Wayne as a person and to Gotham as a city was what made those films successful. Reality was the basis for his world: there were no aliens, no Green Lanterns, and namely, no guys in blue spandex and red capes. Having the Batwing in The Dark Knight Rises rubbed some people the wrong way initially, because they felt that it broke the mold of Nolan’s world. Having a flying vehicle seemed to tread a fine line between reality and fantasy when it came to the world Nolan had created. If you bring his Batman back and team him up with Cavill’s Superman, every time we watch his Batman trilogy that sense of reality and normalcy will be tainted because we know that somewhere out there, there’s a Kryptonian alien flying through the skies. Let’s face it: The Dark Knight Rises left a lot of questions unanswered, namely how did Batman escape that atomic blast at the end? If they team Bale and Cavill up, I pray they don’t attempt to answer this by saying Superman saved him, which would be a major cop out. And, how do you bring Batman, and more importantly Bruce Wayne, back to Gotham? Batman is supposedly dead and has a new successor in John Blake (Joseph Gordon-Levitt) and Wayne Manor is now home to orphans. Are they simply going to have Bruce Wayne come back and tell both Blake and the orphans to hit the pavement? Unlikely. Another issue that would arise if this new Batman/Superman team coexisted in the same world is one that a lot of fans would be asking of Superman: where the hell were you when Gotham was being held hostage by a terrorist and atomic bomb for months? Granted, the bomb was concealed in a truck lined with lead and Superman can’t see through lead, but with his powers you have to think he would have been able to do something. Plus, with Gotham being held hostage and every news outlet in the world covering it, wouldn’t the Daily Planet have sent a certain Clark Kent to cover it? I feel that a Batman-Superman movie would have to spend at least the first half explaining all this. When I heard Ledger say those lines I got chills for a few reasons: one was because it reminded me of the sad fact that he had passed away, but also because I knew that Nolan was acknowledging the eternal connection between Batman and his greatest foe. We’ve learned from the comics that no jail can hold the Joker for long, and if a Justice League team formed to battle alien threats, you don’t think the Joker would want in on it? 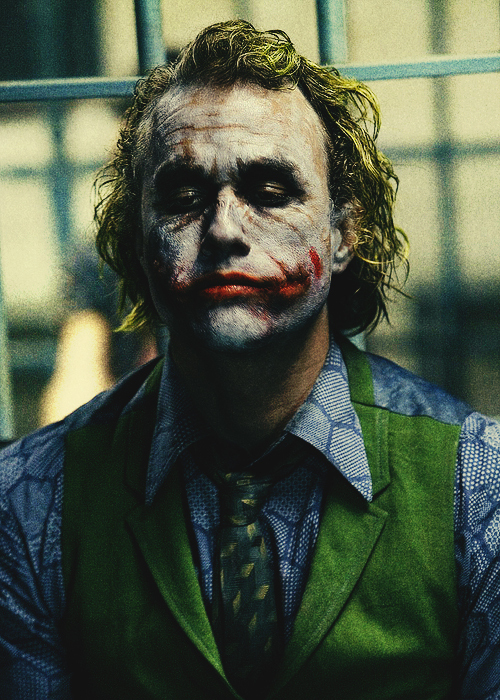 I realize it is a touchy subject since Ledger’s performance as the Joker was one for the ages, but he would have to make an appearance in some capacity. I’m not saying the Joker needs to be a central villain by any means, but if you make a Batman trilogy sans the Joker, is it really a Batman trilogy? The decision to team Bale’s Batman and Cavill’s Superman, should it come to pass, changes the landscape of comic book films entirely. It immediately makes Warner Bros. and DC relevant again and steals the spotlight away from Marvel. People would love to see this Batman/Superman combo on the big screen, and Forbes has even said that early projections for this type of film could be around $2B in worldwide box office sales. But again, bringing back Nolan’s Batman comes with risks and jeopardizes everything Nolan and Warner Bros. did to resurrect Batman after the disaster that was Batman & Robin. Maybe it’s best to leave Nolan’s world alone and move on in a new direction. While I trust Nolan implicitly when it comes to anything Batman, this type of Justice League movie would certainly put that trust to the test. Christopher Nolan Coming Back For ‘Justice League’? Your "loose end" isn't actually a loose end. It's explained that Bruce fixed the autopilot. As long as the batwing was flying fast enough to get more than six miles away after he ejected, he was outside of the blast radius. I think they could possibly tie in the Superman universe and TDKR well, actually. The plot of TDKR occurs during the period of Clark Kent's life when he is still working on the fishing boat off the (presumably) Atlantic coast. Clark's boat is called to help aid in the rescue of people from Gotham during Bane's reign of terror and while trying to escape the blast radius that is Gotham city they see a flying Batwing. When Clark recognizes what is happening, he hears his father's voice (you know, the uber cheesy one from the trailer [it could be Costner or Crowe, I don't know which would be more appropriate]) and decides to spring into action. He grabs Bale's Batman from the Batwing and returns him to safety. Some cheesy dialogue about teaming up in the future follows etc etc. Just a thought. Please excuse plot details I missed, I haven't seen TDKR in a while. Both are good, plausible approaches. One thing that remains though is what do you do with Green Lantern? The smart move would be to pretend (like we all are trying to) that that film never happened and that Hal Jordan is still out there somewhere. If you try and bring Ryan Reynolds' character into the fold then you have a whole new set of questions to ask, like where was Superman when Parallax was destroying Coast City. Again, it all seems to come down to what age Clark Kent was when these events took place. If they explained that Batman survived the nuclear blast at the end of DKR by being rescued by Superman... it would be a hell of a lot better than no explanation at all. I actually would like the movie a little bit more if that happened. It would go a little way into fixing a movie riddled with plot holes. The Batman in Nolan's films is not the version of Batman that makes sense in the Justice League. He was whiny, mopey, and didn't have the fire, skill, and passion that makes "Batman" Batman. Can you honestly see Bale's batman being able to soundly defeat all members of the Justice League single handed? I certainly cannot. Nolan's batman was obviously Bruce Wayne who at times dons the mask of Batman, I've always considered Batman to be the opposite - he's always Batman and occasionally dons the "mask" of Bruce Wayne. Admittedly my opinion was formed by the 90's era cartoon that I grew up with, so I do have a bias. But I hated the way Bats was presented in the trilogy. I know I'm in the minority with that opinion. I feel Batman definitely needs a reboot for the Justice League. Okay, first... "What made Nolan’s Batman trilogy so iconic was the fact that we were able to relate to Bruce Wayne and his world. Here was a guy who suffered a tragedy, had no real superpowers, and used modern technology (and a nice bankroll) to become a crime-fighting vigilante. " 1) Yeah, uh, he's like that in every version. 2) That doesn't enable me to relate to him. I've never suffered that great a tragedy, nor do I have that kind of bankroll or technology. 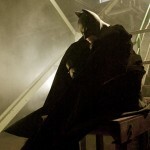 Batman is still a fantasy figure, and as Roger Ebert said, it's impossible, it's just that they treated it like it was. But here's the bigger problem: you people take the idea of a "world" or "universe" too literally. If they put him in Justice League, nobody's forcing you to re-watch The Dark Knight Trilogy and think, "right now, young Clark Kent's doing this while..." anymore than if you watch Lugosi's Dracula, you have to bear in mind that he eventually meets other monsters and even Abbot & Costello. Now, not to jump on the "wah, I could do business so much better than WB/DC" bandwagon, but I don't think the Justice League movie is going to happen. But if it did, common sense would tell them to use "that" Batman because another Batman reboot would have to be REALLY something to not be compared negatively with these films, and because if they don't reboot, it'll be confusing. Heck, I'm starting to warm up to the "it should just be a Superman/Batman team-up" bandwagon... but usually those are just exercises in "see how smart and seemingly-reckless-but-really-brilliantly-methodical Batman is?" I'm one of the few Batman marks who didn't like Nolan's Batman as much as the rest of the world. 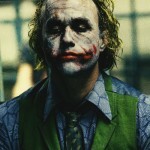 I really only liked TDK and even in that, I still hated Bale's version of both Wayne and Batman. Man Of Steel Superman should be the start, as it should... with a new Bats in Justice League and a reboot Bats movie after. Everything before, just leave it as is.